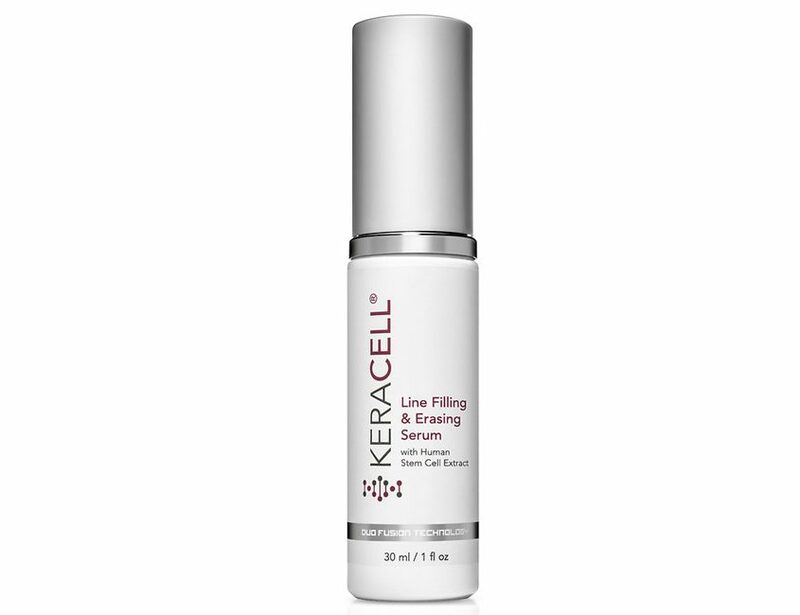 KERACELL® Line Filling & Erasing Serum, featuring MHCsc technology is specially formulated to nourish and restore the skin, and target the wrinkles and sagging skin in the jowl area, nasal-labial folds (marionette lines), and around the eye area. Line Filling & Erasing Serum helps to plump and restore the health of the skin and helps rebuild the extracellular matrix to prevent the loss of the volume around the eyes and face, and improve firmness and elasticity. Deionized Water, Glycerin, Propanediol, Swertia Chirata Extract, Ornithine, Phospholipids, Glycolipids, Trifluoroacetyl Tripeptide-2, Caprylyl/Capryl Glycoside, Polyglyceryl-5 Oleate, Sodium Cocoyl Glutamate, Glyceryl Caparylate, Dextran, Maltodextrin, Hydroxyethylcellulose, Natural Fragrance, Phenoxyethanol, Ethylhexylglycerin, Citric Acid. Apply two pumps of serum to deep lines and wrinkles, expression lines and sagging jowls. Massage in until completely absorbed. Use daily for best results. Follow with your normal skin care or beauty routine.